​A late Tony Acqua consolation with the score at 3-0 added a dash of respectability to what was the poorest performance of the season so far for the Parrots. On a day with a strong breeze and low-lying sun the Parrots unbeaten league record after four games came to an abrupt end. The performance was symbolised by missed chances including a missed penalty and a litany of costly errors. In the first fifteen minutes, however, it was all Hackney. On the ball, some of the passing was slick as they pushed forward. The opening goal came somewhat against the run of play. A soft hand ball decision gifted a free-kick to Harold Wood from which the opener came with a low curler past the Hackney wall. The second goal wasn't long in following. Harold Wood were getting numbers forward with every attack and with disarray in the Hackney ranks the ball fell to an unmarked midfielder, one of many, who tapped into the net for 0-2. Hackney were trying to claw a goal back and just before the break Matt Summers was bundled over in the box after a clever run and the referee who was in no doubt pointed to the spot. Matty Harris stepped up and smashed the spot kick off the bar and the ball was cleared. The wind was behind the Parrots in the second half and so the majority of the play was in the Harold Wood half, however, composure and quality was in short measure and the longer the game went on the more rushed the Parrots play became. Harold Wood received their third gift of the day courtesy of a goal-keeping error which allowed a tap-in from two yards. For the more optimistic, there was a glimmer of hope for Hackney when the ball was played into Acqua who turned on a six-pence and finished with a low drive to make it 1-3. 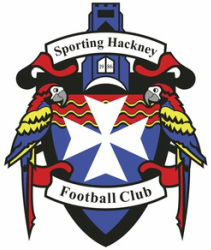 Pressure continued to be applied without any further inroads and other than having to defend Hackney corners Harold Wood held out for the three points. Player-Manager, Jamie Duff, was not available for post-match comment.